O.V. 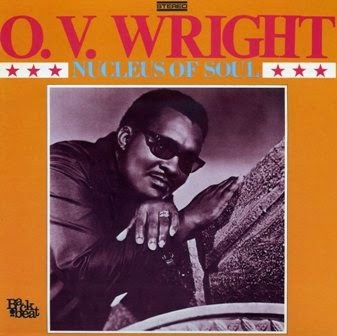 Wright's second album of all new material on Back Beat Records came out in 1969. Nucelus Of Soul offered another fine selection of southern soul gems performed with gospel-styled passion, with the emphasis mostly on the ballads, which was arguably where Wright was strongest. It generated no real hits, the highest charting single being "I'll Take Care Of You" (written by Brook Brenton and originally recorded by Bobby Bland back in 1959), which only made it to #43 on the R&B chart. The album featured a few covers, including one predictable R&B standard (Johnny Ace's "Pledging My Love"), and one rather surprising choice in Bob Dylan's "Blowin' In The Wind"- Dylan songs weren't often recorded by R&B singers, but Wright's version worked very well.